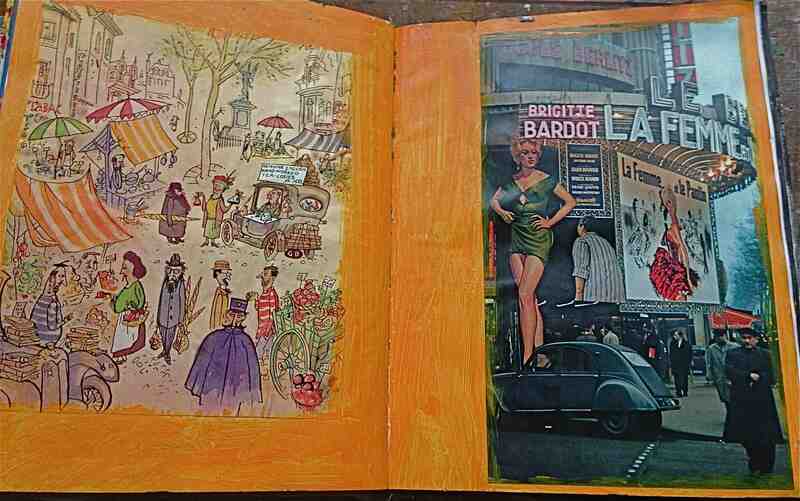 In this post I am profiling another artist book I have made, my scrapbook. Only one copy, it contains images of other people’s work that I admire along with assorted memorabilia of my own. This profile will be ongoing as the book is not yet finished. It does have some history though. Subsequent posts will be added to this one and the content of the book may change over time as images and pages are altered, removed and added. To begin with here are some sample page-spreads. Double page spread in progress. Starting with a blank paged, hard-covered sketch book I covered the covers with cloth then painted some of the double page spreads in various colours and a range of textures. To these I added images that I had collected or made, gluing them onto the pages, sometimes in random fashion and other times in related groupings. 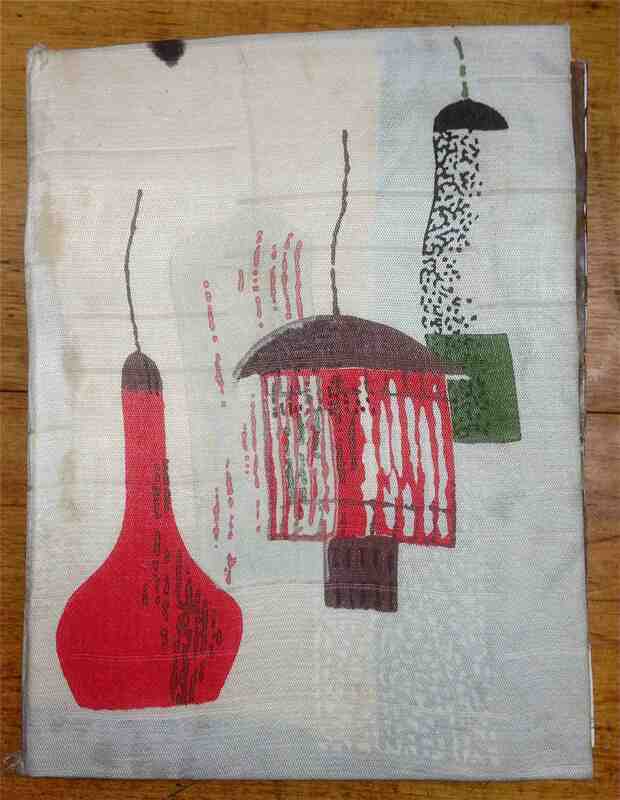 This relationship might be in terms of colour or commonality of subject or simply a whimsical choice. The above spread shows Kamishibai frame boards on the left and animation drawings by Chuck Jones on the right. 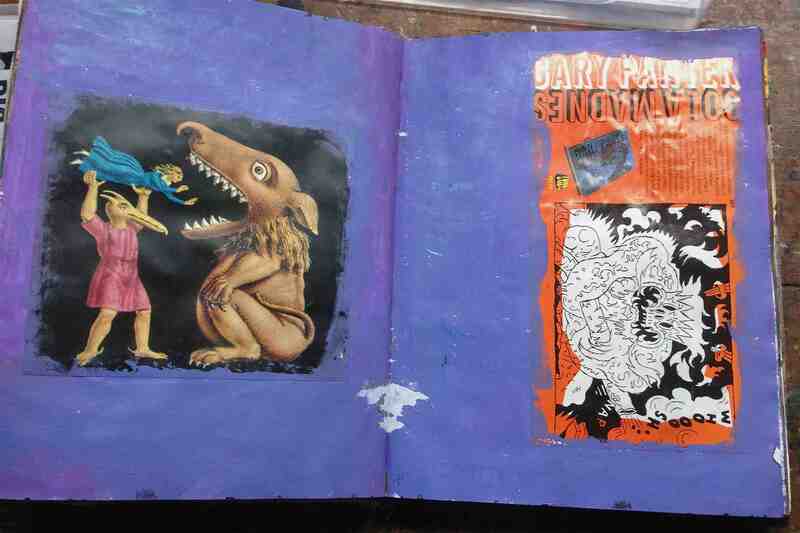 This spread juxtaposes a theatrical illustration with an add for a Gary Panter book. The white blotch at the join is torn paper, the result of closing the pages before the paint had dried then re-opening them. It looks good though, I think. Double page spread-prints and seals. 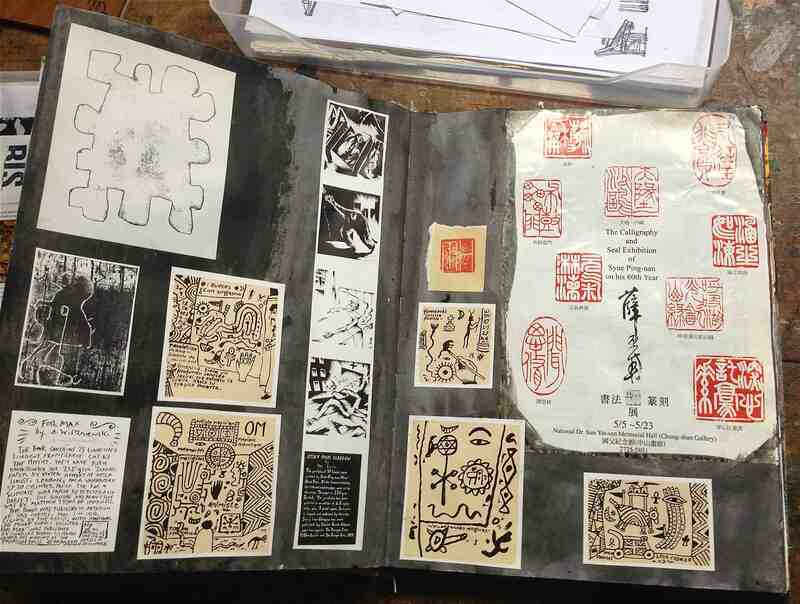 Above are some printmaking images and a selection of Chinese seals. Front cover has been covered with cloth. Top edge shows extent of painted and pasted pages. Side view of scrapbook on table. 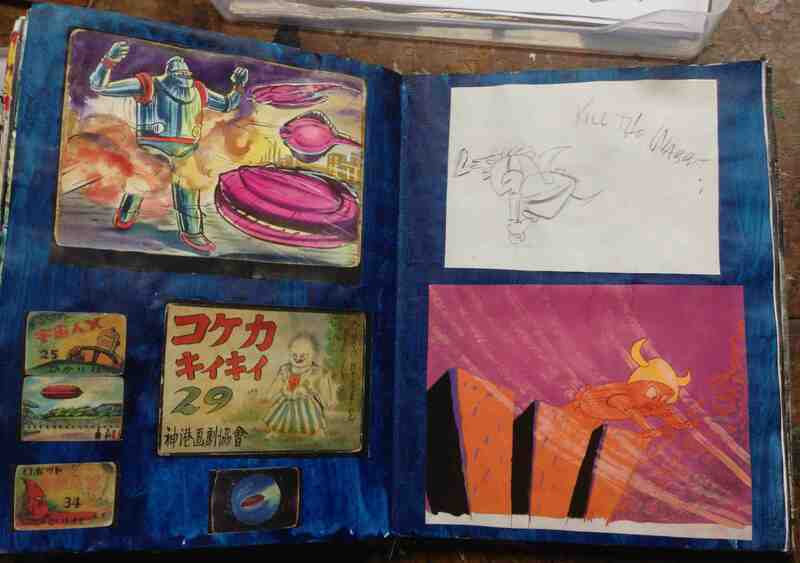 This entry was posted in Art, Coffee Table, Comics, Film, Germania, Japanning and tagged artist book, comics, drawing, image-making, kamishibai, Michael Hill, personal archives, sketch book, visual diary, words and images by Doctor Comics. Bookmark the permalink.